Margaret Fox, coach and business consultant, translates business questions into productive solutions for creative professionals, small-business owners and “solopreneurs”. Twenty-three years of problem solving in her own restaurant, Cafe Beaujolais, gave Margaret Fox the experience she uses as a business consultant to guide you toward your business goals. The same drive, vision and challenges that have filled her life can fuel yours. 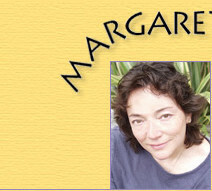 For more information visit Margaret Fox's coaching and business consulting services page.